The GO Foundation is pleased to announce the appointment of Holly Kramer to its board. 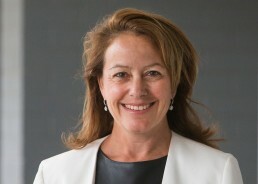 Kramer, who was the CEO of Best & Less, is a Non-Executive Director on the Boards of Woolworths, Australia Post and AMP. She also serves on the Board of regional community-owned Telco Southern Phones. Having held senior management roles in Australia and abroad across a number of industries, including for Ford Motor Company, PBL, Telstra and Pacific Brands, Kramer’s knowledge and expertise will be invaluable for GO. Kramer says she looks forward to continuing the outstanding work of GO and working closely with others on the GO Board including Sam Mostyn and Ken Boundy. GO Foundation CEO, Shirley Chowdhary, says Kramer’s appointment is an exciting one for GO. The GO Foundation was founded in 2009 by Swans champions Adam Goodes and Michael O’Loughlin. GO provides merit-based scholarships for Indigenous students. It relies on the generosity of corporate and private donors. GO exists to empower young Indigenous Australians through education.